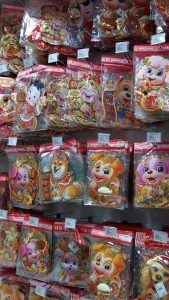 Mr DIY has started selling decos for Chinese New Year quite early. The wall decos with the doggie pictures are real cute. 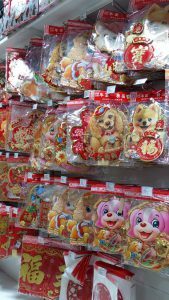 There are various cute designs, mostly featuring puppies or very cute doggies. 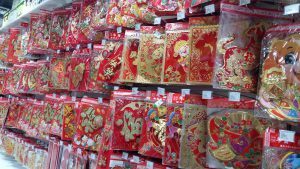 When buying CNY deco, you may want to plan and decide if you plan to dispose the deco or recycle it for future years, or a mixture of both. Of course if you wish to recycle and use for next year, then you can only go with the generic designs that does not come with specific animal year. I find the prices are very reasonable. 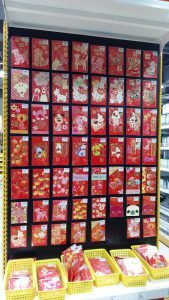 In fact, I have helped my office in the past years to buy CNY deco and the prices here seemed cheaper (than what I paid for previously) with many designs to choose from. 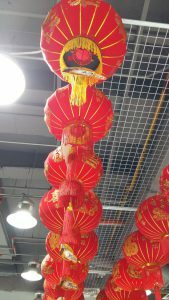 CNY laterns are also sold. The price ranges from RM30+ to RM50+ per pair. It depends on the size and the complexity of the design. Update: 27 Dec 17- Their flowers and more decos have arrived.